With warmer weather upon us and an increase in buzzer activity, the Trout will be actively looking for pupae and emergers. For fly anglers, this is a time to cash in and make the most of the sport. However, being able to recognise the tell-tale signs and fishing more imitatively will improve your catch rate. As time moves on and each day warms you may start to see occasional splashy rises. This tells you that some buzzers are beginning to hatch but that the fish themselves are still quite deep and must rush up to the surface to grab the hatching fly, and hence the splashy rise. When the rise forms become quieter, and even to the classic ‘head-and-tail’ rise, you can now deduce that the fish are cruising much higher in the water and need only tip upwards a short way to take the hatching fly. 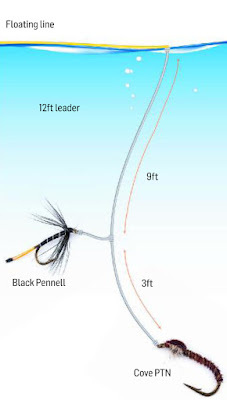 In contrast, splashy rises tell you to swap to slower sinking flies and eventually using an emerger on the dropper. 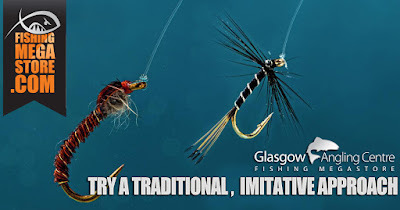 Finally, with fish high in the water and hatches reaching their peak, fish a Diawl Bach or Cruncher on point and an emerger on dropper, ideally of different colours and sizes offering options for the fish. However, don't dismiss the more 'traditional' imitative approach. 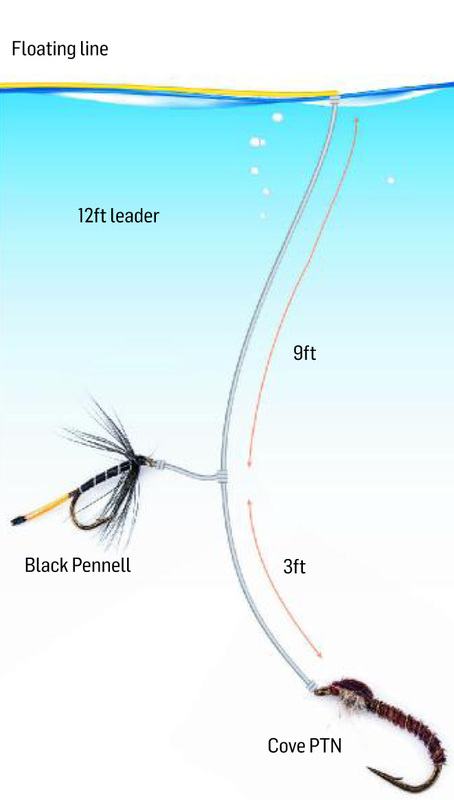 Using a Black Pennel on the dropper, and a Cove Pheasant tail on the point with a floating fly line, it is a deadly combination and will cover all buzzer fishing situations. The best advice for this due is to use a minimalist retrieve. Buzzers can’t move through the water, they can only go up and down in the water column so your retrieve should be ‘dead slow or stop.' Takes are often really positive as the fish take the fly confidently and against a slight bow in the floating line. They will quite literally hook themselves. It’s a lovely way to fish. With the warmer weather upon us, buzzer fishing can be very productive. Being able to recognise the tell-tail signs that the fish are feeding on pupae and buzzers, and adapting you fly rig appropriately, will increase your success rate. However, don't dismiss the traditional patterns because they can be just as deadly as the more 'modern' style buzzer patterns.